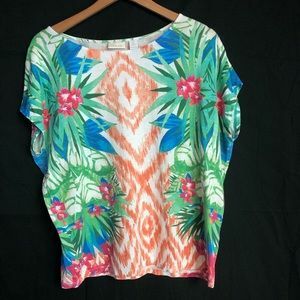 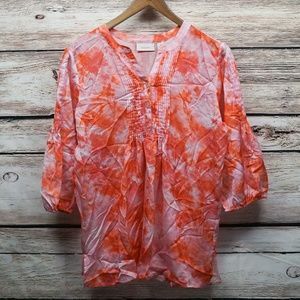 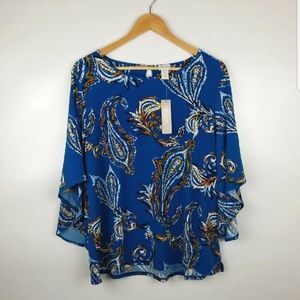 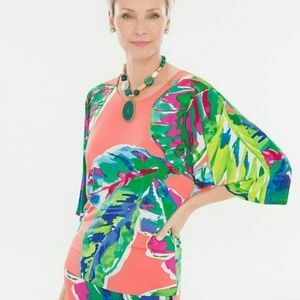 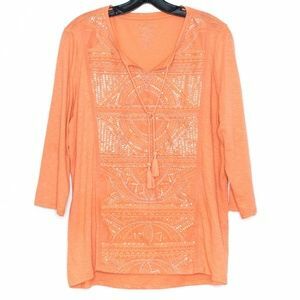 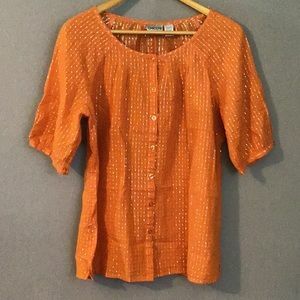 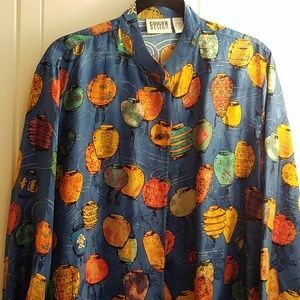 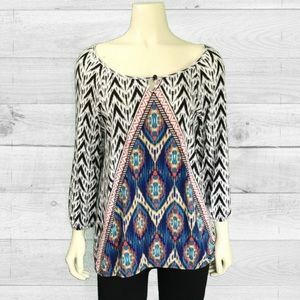 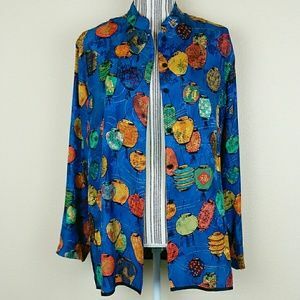 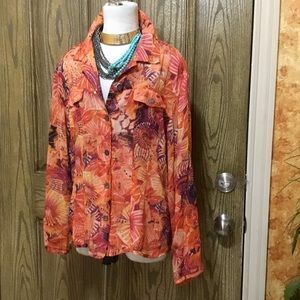 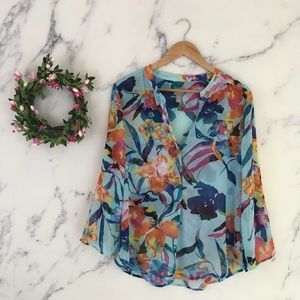 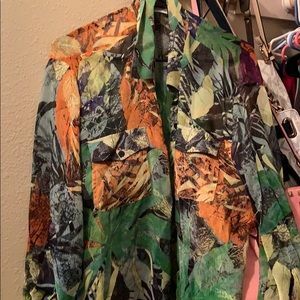 CHICO'S STUNNING TROPICAL KIMONO SLEEVE TOP L NWT! 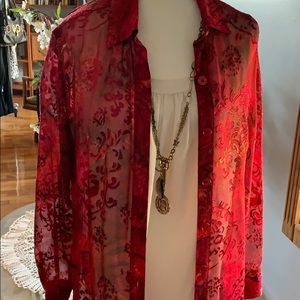 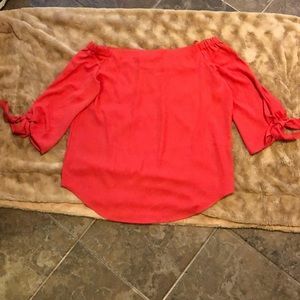 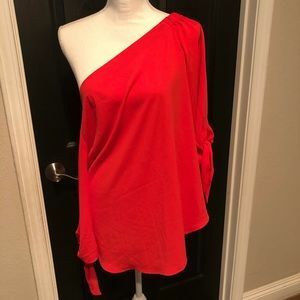 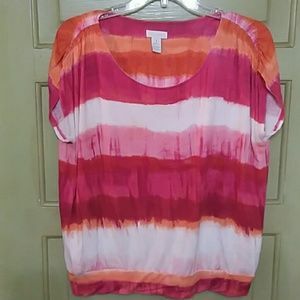 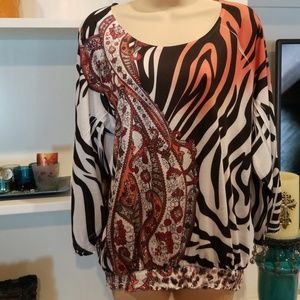 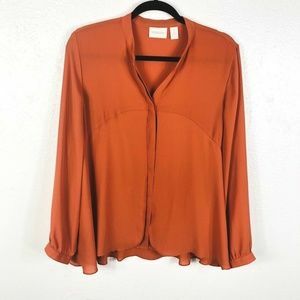 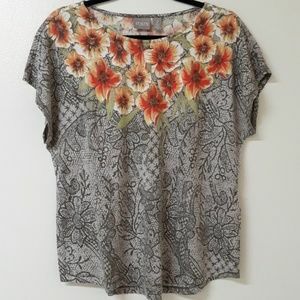 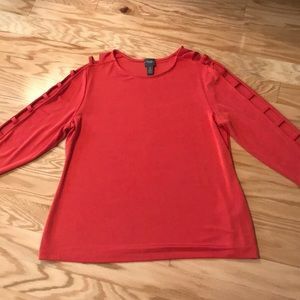 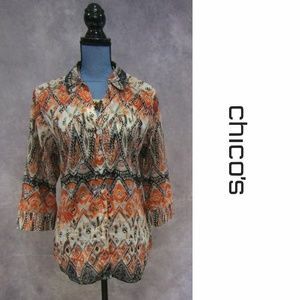 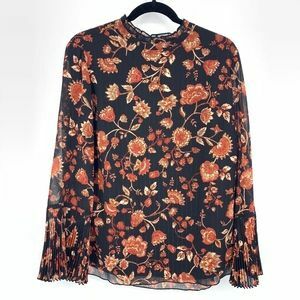 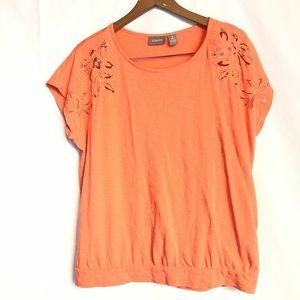 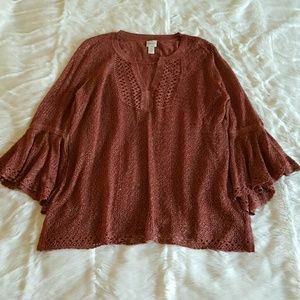 Chico’s Sheer Ruffled Blouse - TANK INCLUDED! 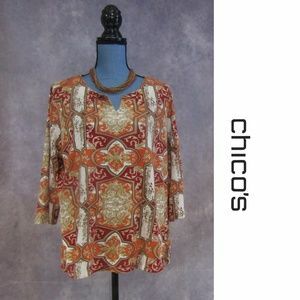 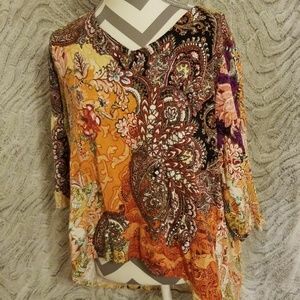 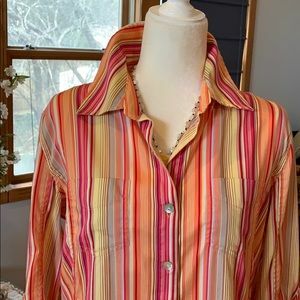 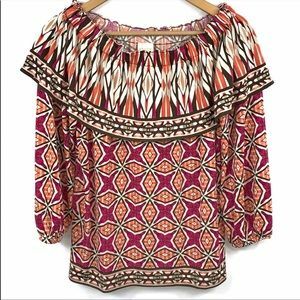 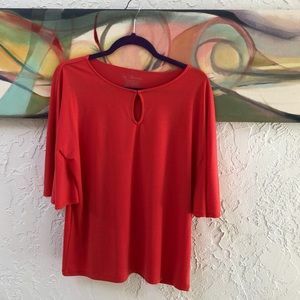 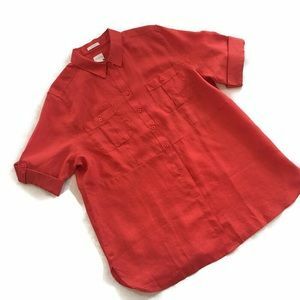 Rayon silk velvetlike button blouse- beautiful!